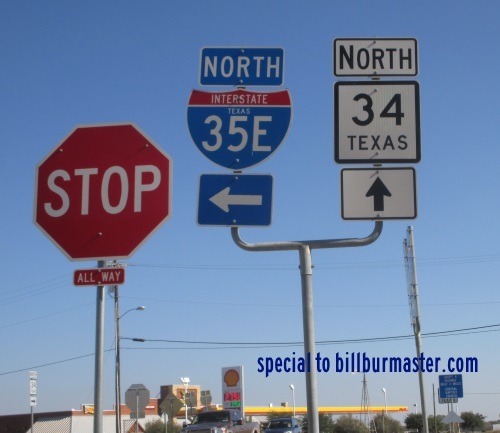 Interstate 35E is the Dallas Spur of Interstate 35. 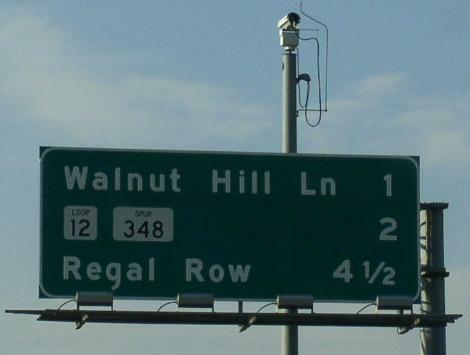 This highway runs from Denton to near Hillsboro. 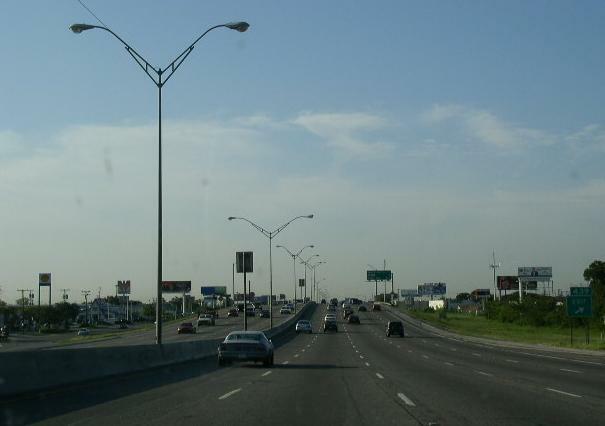 I-35E is one of the main expressway serving the Downtown Dallas Area. 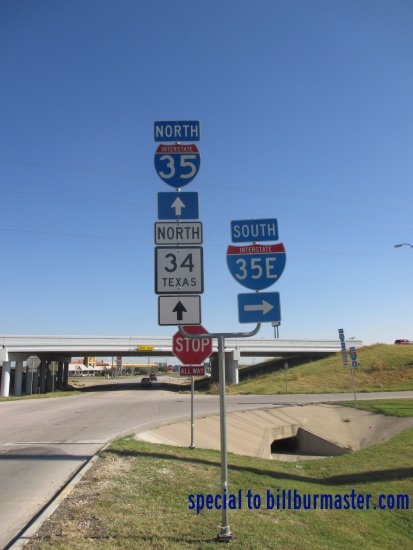 While in Texas, I-35E is multi-plexed. ...U.S. Rt. 77, from Denton to near Red Oak. 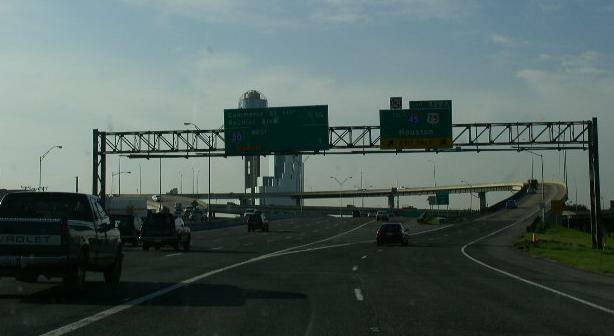 ...Interstate 30, at Downtown Dallas. ...U.S. Rt. 67, at Dallas. 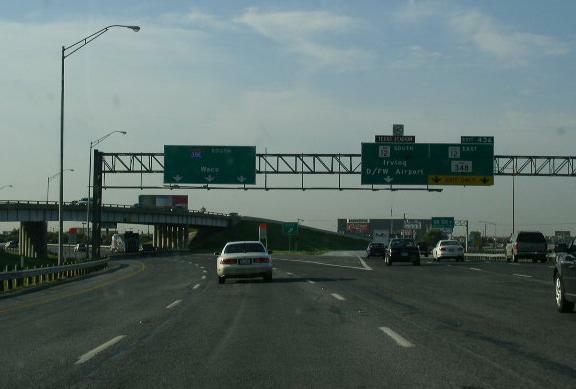 Interstate 35E, crosses the following interstates in Texas. Info on the parent route to I-35E. 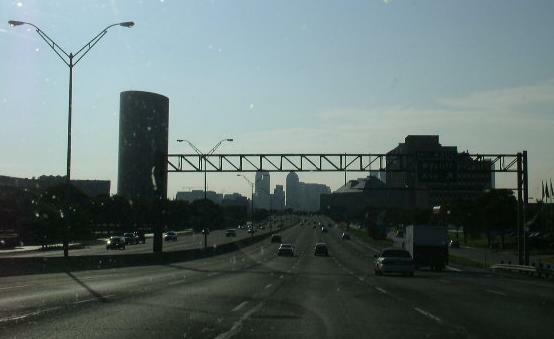 Overhead signs on NB I-35W. SB I-35E, south of I-635. 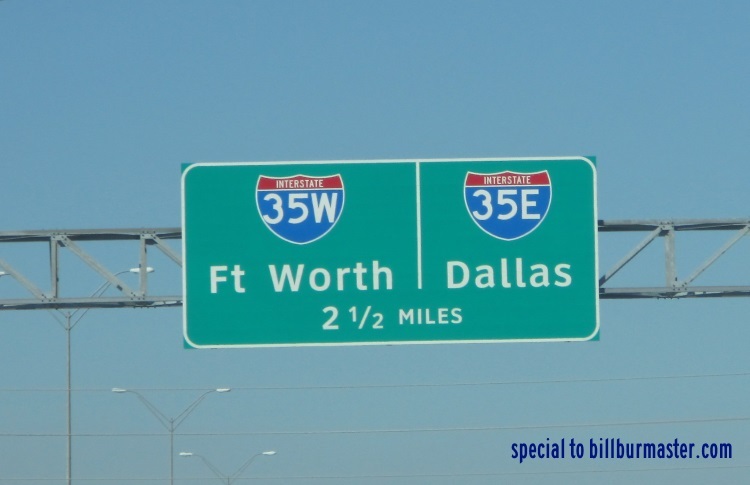 Mileage sign on SB I-35E in Dallas. SB I-35E at TX St Lp 12. Guide marker on a service road in Dallas. SB I-35E at Downtown Dallas. 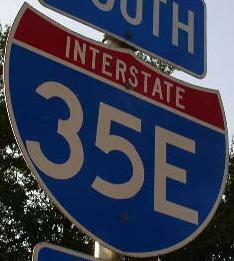 SB I-35E at TX St Sp 366. 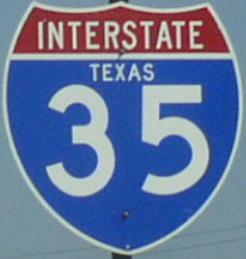 A guide marker on TX St Rt 34.